Pennsylvania sports betting is now legal and live at over half-a-dozen land-based venues dotted throughout the state — and the list is growing. Mobile betting should be here shortly as well, but has been delayed due to a recent legal hiccup. Sports wagering was made possible in the state by two key events. The first was the inclusion of sports betting in as part of an omnibus gambling expansion package passed by PA legislators in October 2017. The second was the May 2018 Supreme Court decision to strike down the Professional and Amateur Sports Protection Act (PASPA), which for over 25 years limited sports betting largely to Nevada. Below you’ll find a complete guide to Pennsylvania’s retail and online sportsbooks, including where to play, a casino-by-casino market breakdown and answers to frequently asked questions. Presque Isle Downs is the only casino which, at the moment, has been approved for sports betting, but has not launched a retail book. It was initially expected that nearly all PA casinos would jump at the chance to open their own sportsbooks. But when the state revealed a whopping 36% tax on sports wagering revenue plus a $10 million startup fee, several were forced to rethink their plans. Sands Bethlehem: Sands normally ranks as the second highest-earning casino in the state, so it’s hard to imagine that it would pass up the opportunity to offer sports betting. The most plausible reason for the holdout is that it’s waiting until ownership changes hands — Sands was acquired by the Poarch Band of Creek Indians in 2018 for $1.3 billion. Live! Hotel & Casino: If the Live! project does not collapse before it’s built, the property will most certainly apply for a sports wagering license, due to its planned proximity to the state’s main cluster of sports stadiums. The Meadows: Now owned by Penn National, which has shelled out over $75 million on expanded gambling, it’s possible that Penn will purchase a sports betting license for the Meadows. Penn National operates a retail book at Hollywood Casino, the first brick & mortar book to go live in Pennsylvania. PA legalized sports betting in 2017, ahead of the Supreme Court decision to strike down PASPA the following year. Unlike other verticals included in the expanded gambling legislation, sportsbooks were relatively quick to launch at brick-and-mortar casinos. Online sports betting, however, has been delayed and still has not gone live. While mobile sports wagering was set to debut in the spring, a recent change in opinion by the Department of Justice (DOJ) regarding the Wire Act, a decades-old piece of legislation meant to curb mob-related illegal sports gambling, has thrown a wrench into the process. The new DOJ guidance has given pause to state gambling regulators, who now must ensure that all communications regarding online betting are made entirely intrastate. In January 2019, Pennsylvania Gaming Control Board (PGCB) director Kevin O’Toole sent a letter to licensees, instructing them to submit a plan for complying with the new opinion. While the DOJ memo gave a scare to sports betting stakeholders, PA seems to be moving along with both sports and online casinos mostly unfazed. We now expect online/mobile sports betting to go live in June or July 2019 – but knowing PA, this is anything but a sure thing. Here’s a quick look at each of PA’s live and upcoming sportsbooks, for both retail and online betting. Penn National was the first PA property to splurge for an eight-figure sports betting license, and the first casino to take a legal sports bet in the state when its book opened in November 2018. The operator chose international bookmaking giant William Hill to power its retail and online/mobile offerings. Will Hill has also made inroads in other legal sports betting states, especially in New Jersey where it powers books by Tropicana, Ocean and Monmouth Park. In December 2018, its first full month of sports wagering, Hollywood took in $5.051 million in handle. By that time, though, it already ranked third behind Rivers and SugarHouse, which had only been live for part of that month. Penn National also scooped up two satellite casino permits and plans to bring sports betting to those sites as well. Rivers, sister site to SugarHouse, has a leg up on the competition in several ways. First of all, Rivers’ parent company already has experience operating an online sportsbook in New Jersey through SugarHouse Online Casino, and should easily be able to get its mobile product up and running when it gets the green light. Secondly, its retail book holds a virtual monopoly over the Pittsburgh area, home to the Steelers, Penguins, and Pirates professional sports teams. Rivers has integrated technology from sports-focused software provider Kambi into its homegrown platform. 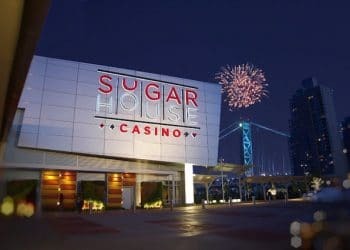 SugarHouse operates the SugarHouse online casino in the Garden State, and was the third operator to integrate a sportsbook into its online product there. In PA, the property launched its retail sportsbook on the same day as Rivers Casino, using the same provider (Kambi) to power its sports platform. SugarHouse will leverage the experience it’s already gained in NJ to become a formidable player in the Keystone State market. 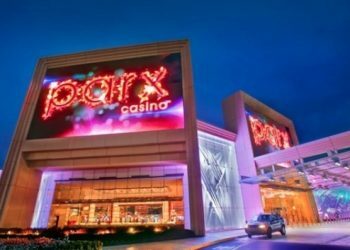 Already the leading casino in terms of land-based revenue, Parx made its entrance into the sports betting market in January via a temporary sportsbook located on the site of its former 360 Bar. That will do for now, but the property is sparing no expense on building a permanent facility and has promised to spend $10 million on the project. Parx long ago chose to partner with GAN for its online casino and poker operations, then added Kambi into the mix to round out its sports betting offering. 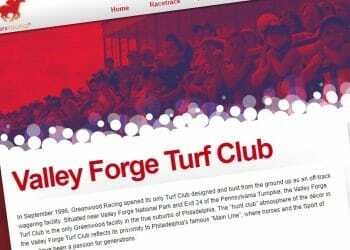 Previously known as the South Philadelphia Turf Club, the newly-minted Race & Sportsbook is an off-track betting (OTB) shop owned by Greenwood Gaming, the same parent company which operates Parx. Surprisingly, PA officials have allowed Greenwood’s two OTB facilities to piggyback on their parent’s original $10 million permit and offer sports betting at no additional fee. The property is situated in a uniquely favorable area, just blocks from the Wells Fargo Center and Citizens Bank Park. Its proximity to the state’s sports epicenter should make it a popular venue for passing bettors and curious fans. Philadelphia Eagles running back Brian Westbrook had the pleasure of placing the first sports bet at Harrah’s sportsbook, dubbed The Book, at its January ribbon cutting, just in time for the 2018-19 Super Bowl. Harrah’s is owned by Caesars which hosts a rather underwhelming sports betting app in neighboring New Jersey. It’s yet to be seen if the property, which has partnered with Scientific Games on the tech side, will come up with something more impressive when online books get the green light in the state. Caesars entered into a strategic partnership with DraftKings in early 2019, sparking rumors that Harrah’s would utilize DraftKings branding. However, the flame was quickly extinguished when the company announced that it will feature its own branded skin (similar to the one in NJ) in the PA market. The Valley Forge Race & Sportsbook (VFRS) is Greenwood Gaming’s second off-track betting facility located in the Keystone State. VFRS was the third Greenwood sportsbook to launch in PA, opening its doors in mid-March. Unsurprisingly, the book runs on GAN and Kambi software, the same integration in use by sister properties Parx and the South Philadelphia Race & Sportsbook. Valley Forge casino looks to be the sports betting market leader in the state, when mobile betting goes live at least. Valley Forge is owned by Boyd Gaming, which struck a deal with FanDuel in August 2018, giving the DFS-turned sports betting giant market access in 10 different states. FanDuel has propelled itself to the top of the New Jersey sports betting industry, even besting its arch nemesis DraftKings in the state. As a retail casino, Valley Forge likely won’t make much through sports betting, as it traditionally ranks near the bottom in terms of overall casino revenue. However, a FanDuel-branded mobile app will completely change the game for the property. U.S. gambling conglomerate Churchill Downs Inc. took control of Presque Isle Downs in January 2019. Late to the club, the property received conditional approval for sports betting on February 6, 2019 and plans a summer retail launch. Presque Isle Downs’ retail and online sportsbooks will be available under the BetAmerica brand, which has been beefed up with the SBTech sports platform. BetAmerica is already up and running in New Jersey under the licensing umbrella of Atlantic City’s Golden Nugget. Mount Airy Casino locked up a big-name partner in The Stars Group (TSG), the parent company of poker giant PokerStars and sports betting brand BetStars. While it was a virtual lock that Mount Airy would eventually pony up the cash for a sports betting license (due to its partnership with TSG), it did so late in the game. We expect Mount Airy to deploy the BetStars brand as its mobile/online skin, and perhaps as the name of its retail sportsbook. BetStars operates just over the border in New Jersey under a licensing deal with Resorts, but its market share pales in comparison to competitors like DraftKings and FanDuel. Mohegan Sun was the ninth eligible PA casino to request a sports betting license. The property has teamed up with international iGaming provider Unibet to power both its sportsbook and online casino/poker products. Unibet has plenty of experience in the sports betting realm and should be able to seamlessly introduce a robust sports wagering app for Keystone State bettors as soon as operators get the go-ahead from regulators. Currently, Pennsylvania is a vastly underrealized market, with only eight retail sportsbooks and nary a single online sportsbook. Unfortunately for Pennsylvania, online sports betting is where the money is, currently accounting for roughly 80% of New Jersey sports betting handle. Online wagering may not be quite as dominant in neighboring Pennsylvania, as many of the retail sportsbooks are located in the population centers of Pittsburgh and Philadelphia, and Pennsylvania is hindered by a dumbfounding restriction that limits each license holder to just one sports betting skin, but we’re probably talking at most, the difference between 75% and 80%. 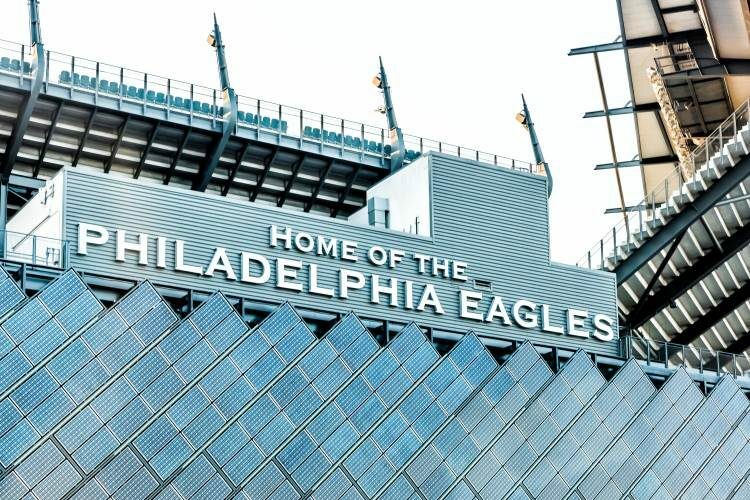 So far in 2019, the Pennsylvania sports betting industry has handled roughly $30 million per month, as compared to $300 million+ for New Jersey. This figure should increase vastly once online wagering gets rolling in mid-2019, especially if the online books are in full swing by the onset of the NFL season. However, early projections made by Gambling Compliance, estimating revenue potential of $400 million per year, feels a ways off, at least for now. $250 – $300 million in 2020 comes off as more realistic. Beyond the one skin restriction, the 36% effective tax rate may have an impact on the betting odds and marketing spend, harming the industry and distancing it further away from its potential. Where are the major sportsbooks located? Those in the Philadelphia area have access to the widest variety of what will become premier sportsbooks. Gamblers in the region can choose from SugarHouse Casino, Valley Forge, Harrah’s, Parx and two former off-track betting facilities. If the Live! casino project ever gets built, they’ll be able to bet on sports near the big sports stadiums as well. At the moment, Rivers has a virtual monopoly on the western half of the state with its sportsbook in Pittsburgh. When can I bet online? Online betting is definitely coming to PA, but the rollout has been slow. Most believe that operators will get the green light to go mobile in the summer of 2019. In PA though, delays are the norm. Are any other online options available right now? Before bona fide online sports betting apps launch, players have a few pseudo-online options. Parx and SugarHouse have launched what they called Bet Slip Builder and Quick Bets, respectively. These innovations allow players to log onto the website, build and lock in their bets, then scan a QR code to take to the casino. Once at the property, they can easily scan the code into a kiosk, thus avoiding waiting in line at a window and missing out on an early line which might have changed by the time they arrived. Do I have to have to wait in line to place a bet? While all sportsbooks feature a number of teller windows, most also offer kiosks placed throughout the casino through which players can quickly place bets by themselves. What kind of bets are offered? Do I have to be a PA resident to bet online (when it goes live)? When online betting gets the go ahead, you won’t need to be a PA resident to play. All you need to do is be physically inside the borders of Pennsylvania. Geolocation software will then verify your location and allow you to place your real money bets. You could even drive into PA from out-of-state, quickly place a bet, then immediately drive back home if you wanted. How old do I have to be to bet at a PA sportsbook? To bet on sports in a PA book, players must be 21 years of age or older, with no exception. What kind of deposit methods will be available for online betting? Betting on sports is confusing, will the books help me place my bet? Since legal sports betting is brand-new in Pennsylvania, it goes without saying that many patrons would be interested in playing, but might be confused by all the options. But not to fear, sportsbook tellers have been trained to instruct novice players on all of the different bet types. You will also usually find helpful betting guides written by individual sportsbooks on their websites. Sports Handle will also provide a variety of resources for new bettors. The push for legalized sports betting in PA was effectively spearheaded by Rep. Rob Matzie, whose 2017 bill, H 519, eventually found its way into an omnibus gambling package which also authorized daily fantasy sports, online gambling, iLotto, satellite casinos and more. The expanded gambling package was attractive to state lawmakers, who, at the time, were seeking additional revenue streams to plug a multibillion-dollar budget deficit. In late October of 2017, the legislation passed both chambers of the state assembly and was signed into law by Gov. Tom Wolf a few days later. That, however, wasn’t enough to make sports betting legal in the state. For the sports wagering portion of the package to go into effect, the Supreme Court would need to strike down PASPA, a law which had limited sports betting largely to Nevada for over two decades. Sports gamblers got their wish in May 2018, when the Court ruled the law unconstitutional by a vote of 6-3, giving the green light for PA to proceed with its sports betting industry. PA lawmakers needed money and needed it fast, which led them to make some very questionable and perhaps detrimental decisions when setting fees and tax rates for sportsbooks. Unlike New Jersey, which levies a tax of between 9.25-14.25% for sports betting operators, PA imposed a whopping 36% rate across the board. If that weren’t enough, they required that casino licensees pay a $10 million fee to offer retail and online sports wagering. The onerous structure left casinos wondering if running a sportsbook in the state could even be profitable. Even so, several begrudgingly signed on, with more succumbing later. Currently, only a few holdouts remain. Six months after PASPA was struck down, Hollywood Casino opened its temporary sportsbook to the masses, and the Keystone State’s first legal sports that was made. Over half a dozen retail books have followed suit, but online/mobile betting has been delayed, due, in part, to the DOJ’s strange reversal of opinion on the Wire Act. Even so, industry folks believe that mobile betting will go live in the summer of 2019.